Perennial bulbous plant flowering to 6 inches, native to Southern Europe, Asia Minor and Iran. 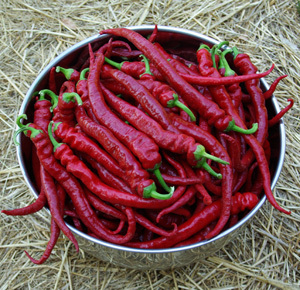 Blooming in Oct, the flowers are purple, cupping the long orange-red stigmas–the spice. 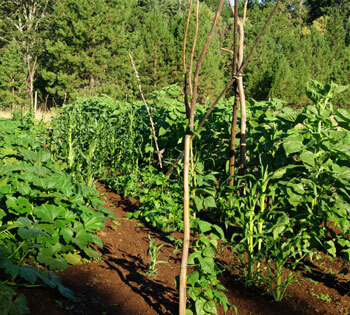 Plant prefers rich, sandy, well-drained soil in the part shade or sun. Source of the enticing spice”saffron.” Just a few threads will impart a lovely color to rice and other dishes, lending a delicious taste and fragrance. Traditional uses (always very low dosage): Stomachic, antidepressant, oral cleanser, sedative and analgesic. Saffron water is often used in ceremonies to cleanse and make ready for empowerment. As a dyeplant, produces the golden yellow color associated with the robes of spiritual adepts. 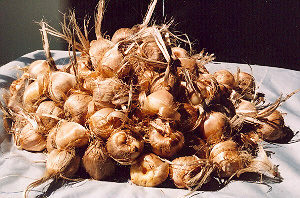 Cultivation: Plant these dormant bulbs immediately on receipt for emergence in the fall. Usually flowers the second year, although the biggest bulbs may flower soon after planting. 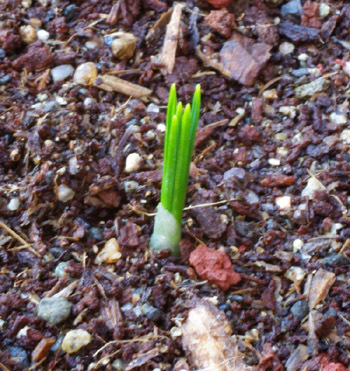 The bulb sends up a spearlike growth of green (see photo accompanying this write-up). 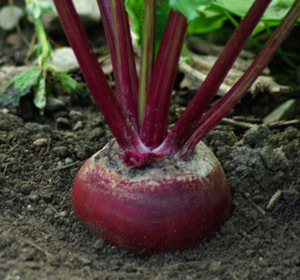 Plant bulbs “tip up” in well drained soil, 3 inches deep and 6 inches apart. 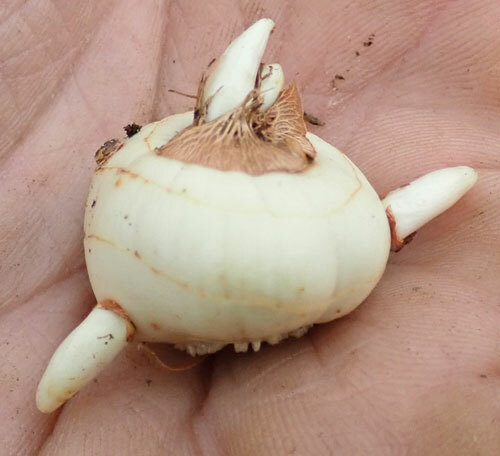 Depending on when the bulbs are purchased and in what season they are planted, emergence may take as little as 3 weeks or as long as 5 months. The bulbs work excellently in pots, and planting in 3-gallon pots is a good way to assure success while increasing the size and number of bulbs in short order. This technique also protects the bulbs from predation by groundsquirrels or gophers. 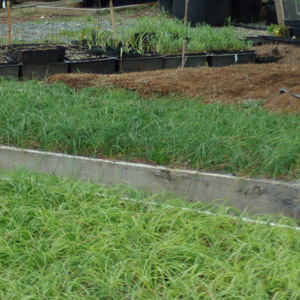 Saffron can also be gainfully grown in raised beds protected by hardware cloth underneath. The soil used to fill the beds should be sandy yet rich, kept well-weeded and watered infrequently. Usually August to September every year. hello 🙂 wondering if you may have a suggestion as to why my saffron bulbs expired? I planted them as indicated, they came up quickly and bloomed and then the foliage died back. I have them in a greenhouse set at 60 degrees. they were watered regularly. I checked the pots this week and the bulbs are non existent. I plan to reorder and do not want to make the same mistake. thank you for your time. It sounds like the bulbs may have rotted. Regular watering is OK if the medium is very fast-draining (sandy) but if kept at greenhouse temps and in standard potting soil and watered regularly the bulbs can indeed go away. thank you! might you suggest a recipe for a proper soil mixture? and an average watering frequency? 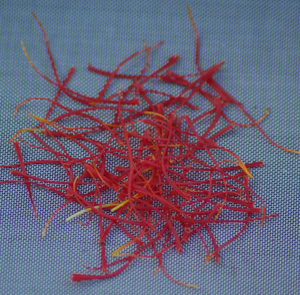 In the case of Saffron, I let them go quite dry between waterings. Have vibrant ones in greenhouse have been watered twice since October. Hi, I’d love to get some of these for the coming spring. Do you know when they will be in stock again? 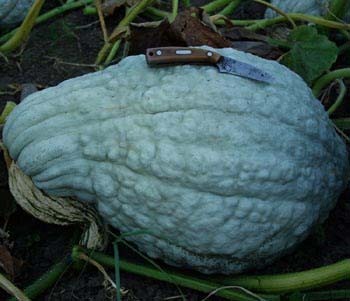 Also, would you recommend this variety (or any other) for large scale cultivation as a sale crop? Thanks! I’ll wait for your winter catalog and hope to get my hands on the bulbs in July. Do you know when you will be getting these back in stock? Back in stock now while supplies last. Are there any special consideration for zone 9-10 gardeners, please? 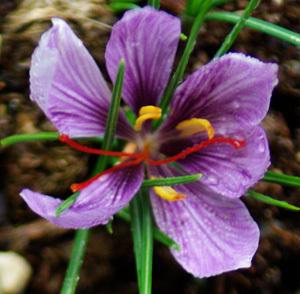 I find that anyone out-of-zone growing holy saffron do best to plant in pots. That way if it is just way too hot you can bring the pot into a shady spot on porch or under tree. Pots work well for saffron–protects the bulbs and really gives enough resources for good growth–I’ve grown them this way several times with good success. When will you have Saffron available again or do you know another source for bulbs? I waited too long to place my order……. We should have these again in September. 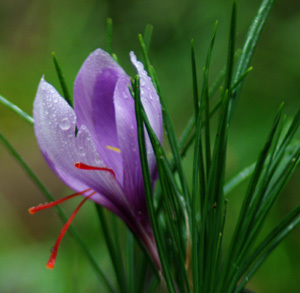 Saffron is indeed a beautiful plant to grow but how well does it do in Florida weather? I appreciate your input. Is Northern california (Zone 9b) cold enough for perennializing saffron ? Yes, it is cold enough. When do you harvest the stigmas and what is the best way to store them ? Thank you ! Hi Lorie, You harvest the stigmas when they are fully formed and before they start to droop. Harvest during dry weather, not morning dew. They can be set in a small saucer indoors until they dry somewhat, then put in a glass pill bottle for storage. I’ve never had them go bad. Do you have internatioal delivery service to South korea. If what about quarantine and extra delivery chare? Hello, No, Saffron bulbs are available inside the USA only. Can you perennialize them in a fridge? were these grown in the US? if so whereabout? Will these be back in stock this year? Yes, Holy Saffron bulbs ship in season, in the fall. We will enable this product as soon as we dig.